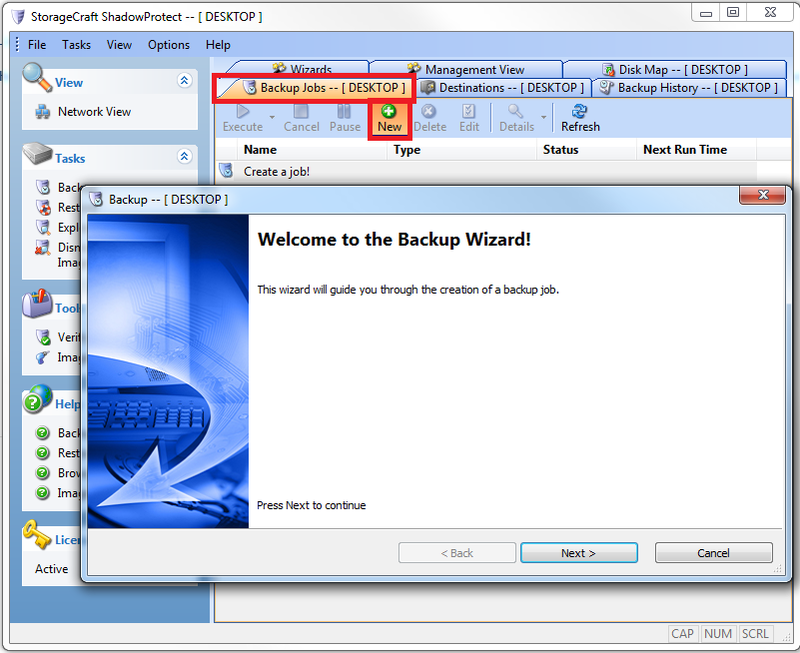 To create a new ShadowProtect backup job, click the Backup Jobs tab; then, click the New icon to start the Backup Wizard. Click Next to continue. 2.Select the volume(s) for which you want to create images. Click Next to continue. Note: It is important that the volumes be together in the same job. 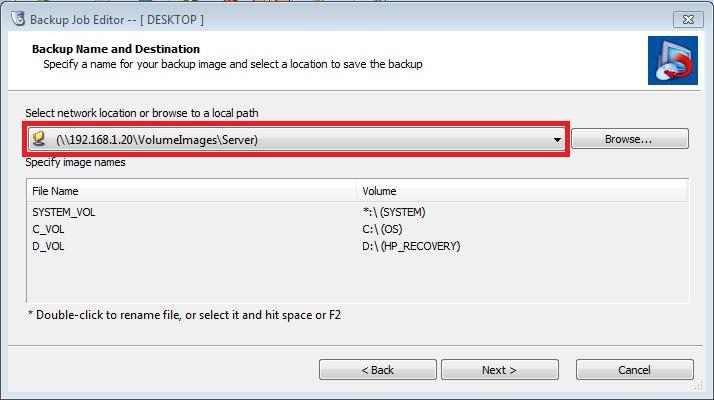 If you are running Exchange or SQL and the logs are not on the same volume as the application database, the logs will not truncate unless the volumes are together in the same backup job. 3.Click the down arrow and select the destination previously created. Click Next to continue. The schedule on the top row runs a single incremental backup. The schedule on the second row runs multiple backups according to the set schedule. b. IMPORTANT: Check the Enter Password box. 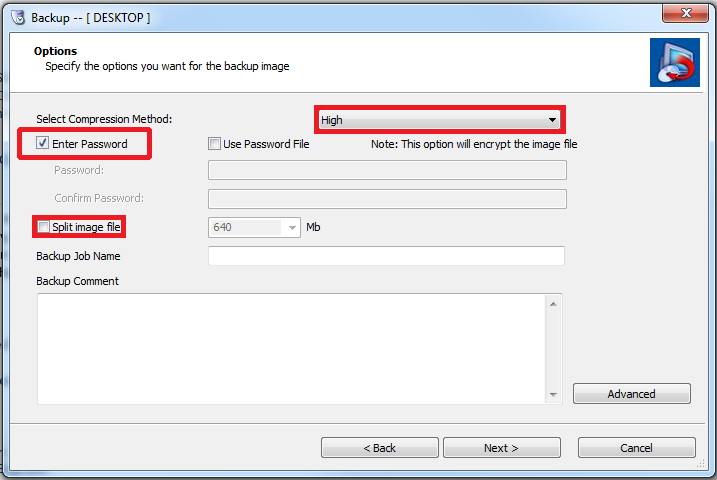 This encrypts your backups with a passphrase. If this box is not checked, backups will be rejected when the Axcient cloud preload occurs. c. Confirm that the Split image file check box is unchecked. Do not split the image files. d. Click Next to continue. a. Leave the Execute Now checkbox unchecked. This will run the initial backup at the next scheduled time. 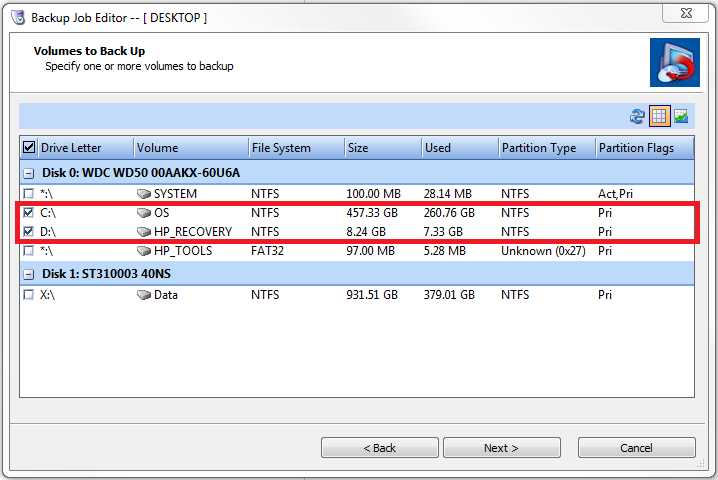 b. Click Finish to complete the new backup job setup. 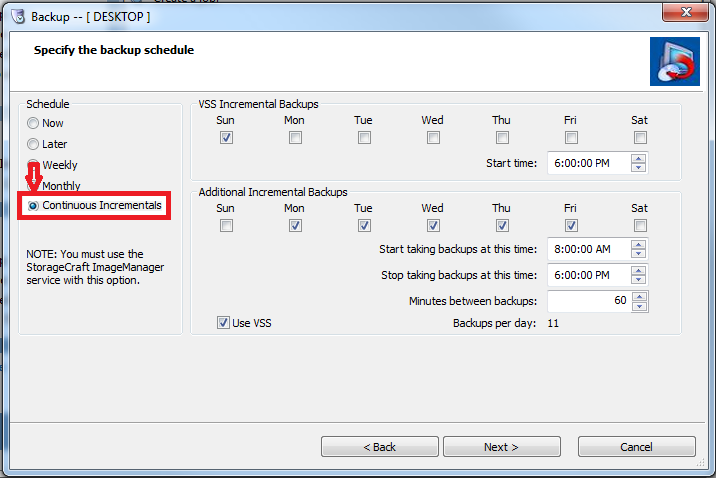 Note: If you wish to run the backup immediately, select the Execute Now checkbox.